Game Stuttering is a very common problem that can be faced by anyone, even if you have a high-end PC with powerful graphics card, processor, tons of RAM, and equipped with all the latest gaming hardware. What happens in stuttering is the game freezes for micro seconds (or fraction of second), skipping the next frame, and this ruins the whole gaming experience. Sometimes it may be a one-time thing because of the game issue or whatever, but if it is happening continuously at regular intervals, then it is a big issue, which needs to be sorted out. Stuttering is also referred as micro-stuttering because it lasts for very short period of time only. Stuttering may or may not lead to lower FPS, as it is possible that you are getting average 60 FPS in game, but having terrible stuttering issues. However, in some cases stuttering may lead to lower frame rates that can be very troublesome. I think stuttering is more annoying than getting low FPS, because during low FPS you might know its cause, and can take proper measures to increase to some extent. Also, you can still game without losing control on low frame rates, while during stuttering it surprises you with sudden jitter and hiccups that makes you lose control in the game, especially when it is a faced paced FPS game. Stuttering in games occurs due to either hardware or software issues, or even both. In some cases, the hardware is the culprit while in some software or drivers can cause the problem, and in rare cases both hardware and software are at fault. I have personally encountered stuttering several times in various games, and most of the time I have managed to it after hours of testing and research. The main thing is that there is no single cause for stuttering, and you need to figure out the root problem by taking in account all the factors. So, to help out gamers that are struggling with the stuttering problem, here I am going to list down the main causes of game stuttering with their proper solutions or fixes. 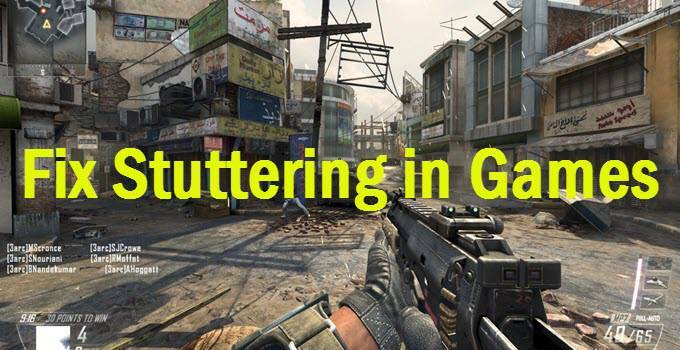 Here are various causes of stuttering in games with their proper solutions and fix. If you have overclocked your CPU / GPU then it is one of the major factors that can cause stuttering in games. This generally happens when the overclock is unstable, but sometimes it can also happen when the overclock is pretty stable in other applications or in benchmarks. So, disable the overclocking of your CPU / GPU and run it on the stock frequencies only. You can also downclock your CPU / GPU for further testing, because some users have reported success in doing so. I have encountered this issue personally in some games, where the game would even crash several times in the middle if I had overclocking done to my CPU. The same thing applies to GPU or graphics card too. If you don’t have enough RAM and VRAM (Video Memory) than what is recommended for the game then you can face frequent game stuttering. 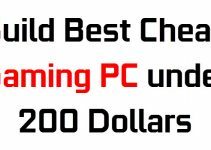 Every PC game has some minimum system recommendations stated by the game company that you must fulfill in order play it properly at decent graphics settings & resolution, or in some cases even to run it. RAM is the system memory that you can installed on your motherboard, while VRAM is the Video Memory that you have on your graphics card. Both plays very important role in smooth running of games, and it is generally a good idea to have more than the amount that is recommended for the game. For modern day AAA games, 16GB of RAM should be there, and the amount of VRAM that you need for gaming at 1080p should be 4GB. You can also use the system requirements lab CYRI (Can You Run It) tool to check whether your system meet the minimum system requirements for that particular game or not. How much VRAM should your graphics card have? Video driver or graphics driver is also one of the major causes of stuttering in games. It is always recommended to install the latest video drivers for latest games. However, sometimes the latest graphics driver can also be the root of the problem, and in such cases, it is better to revert to the older stable drivers. You must remember that latest video drivers are not always better, and not one driver suits all graphics cards the same, so you should test all recent video drivers to find out which driver version works best for you. To clean install older or new video drivers, it is better to use Display Driver Uninstaller (DDU) for uninstalling video drivers. DDU is a small utility that completely removes every trace of the older video driver, including the registries and other related files. 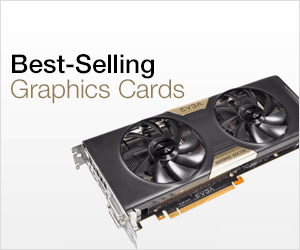 It does prove helpful in troubleshooting video driver related problems that occurs with graphics cards time to time. Also, I would suggest that you should always download the video driver of your graphics card from the GPU’s official site only, because if you download it from third party site, then it may be possible that the driver is tempered with or contains some malicious harmful code. Well, it happens rarely but audio drivers may also cause stuttering, specifically audio stuttering, which is skipping of audio, audio lag, audio slurring and freezing of audio playback for micro-seconds. We generally keep the video driver updated for graphics card, but does not update the audio drivers that often. So, if you are facing issues related to audio stuttering then it better to update the audio drivers of your integrated audio or your dedicated sound card. However, if you have an integrated sound chip or sound card that is not fully supported by modern operating systems like Windows 10, then it is better to change your motherboard to a newer one or you can buy a dedicated sound card that includes full support for latest Windows Operating Systems. Windows Updates is also on the main causes list of game stuttering. With Windows 10, this problem is even widespread because of frequent updates are being released and installed for Windows 10. I have seen this many time that with a recent update, the game would start to stutter or even lose some frame rates, which was working completely fine before the update. So, be selective and careful with the updates and if the update is not deemed good or has received many negative reviews on game forums, tech blogs or tech forums, then don’t install it and if you have already then roll back to the previous state. You can also disable windows update if you want to, but it is not generally advisable for security reasons. 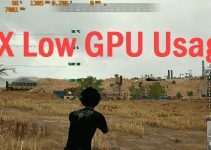 If you are facing CPU bottlenecking and high CPU usage in a game then you can face frequent stuttering and drop in FPS too. This generally happens for two reasons, first if your CPU is underpowered or when the game is heavily CPU dependent. It can also occur when there is a compatibility issue of the game with some CPUs. An example of CPU Bottleneck is when your pair a budget CPU like Intel Dual Core e.g. G4400 with a powerful graphics card like GTX 1080 Ti, then it will result in CPU Bottlenecking. This scenario can lead to 100% CPU usage in AAA games while the GPU usage remains very low. So, here you will have to upgrade your CPU and preferably motherboard too if you want to play AAA games at higher frame rates without any stuttering. For AAA gaming, you should try to get a latest series Intel / AMD processor with at least four cores (quad core processor or higher). On the other hand, if the stuttering is due to poor optimization in game due to game developers, then you can only hope for the game publisher to release a patch or tell some workaround to resolve this issue. You can also disable CPU Parking for better CPU core utilization. It can also help in reducing micro-stutters in games, and thus improves overall gaming performance. The easiest way to disable CPU Paring by using Disable CPU Core Parking Utility, which you download from the link given below. If your CPU is overheating then it will throttle down to lower frequencies to reduce temperature, and this will definitely lower your performance in games, especially in CPU dependent games. So, find out the reason for CPU overheating and take appropriate actions to bring it down to safe levels. The most common cause of CPU overheating is crappy cooler, especially the stock cooler. So, get a good aftermarket CPU Cooler for your CPU for better cooling performance. Also, you may the change the thermal paste too, as this can also make some difference in reducing your CPU temperature. Another factor that may cause your CPU to overheat is bad airflow inside your case. To fix this, install at least one intake fan at front, and one exhaust fan at rear of your case for increasing airflow. GPU overheating can cause your GPU to throttle down to lower clock speeds, and thus lower your frame rate in games, and can even cause stuttering. There can be several reasons for GPU overheating that include a faulty GPU fan, bad video driver, high overclocking, bad case airflow and thermal paste that has gone bad. Below is a complete guide on how to lower your graphics card temperature. If your computer is infected with Trojans, Viruses or any other malware then sometimes these malware does cause high CPU usage by continuously running in the background, even when you are doing nothing (sitting at idle). This can result in higher CPU usage in games, and you can face micro-stuttering during gameplay. So, get rid of these malicious programs by using a good Anti-virus and Anti-malware software. For anti-virus, I would suggest using NOD32 Anti-virus and for Trojans and other kinds of malware, there is nothing better than Malwarebytes. A whole lot of background services consume resources such as CPU and RAM, and may cause frequent hiccups or micro-stutters. 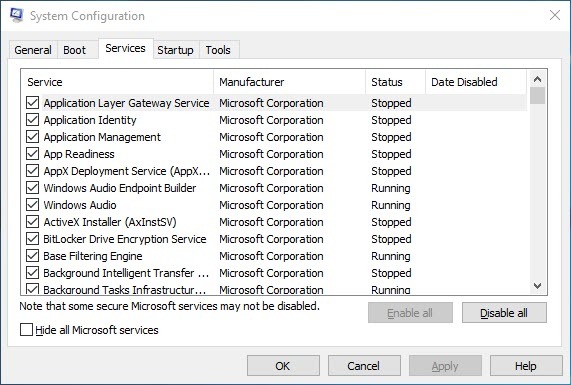 So, it is better to turn off unnecessary background services from starting up using the windows built-in msconfig utility. You can monitor and check the various running services using Task Manager or if you want something more professional and advance utility then I would highly recommend using Process Explorer, which is an excellent third-party utility that can list every running processes with all its detail. It is completely safe to use and you can download it from below. Also, during gaming it is better to close all the apps and tasks, e.g. browser tabs / windows or any other application or program that you have left running in the background, because they consume RAM and CPU, and may cause game stuttering and other conflicts with the game. In-game graphics settings, especially the fancy or taxing ones can have a large impact on the game performance, and may cause occasional micro-stuttering issues if they have been badly implemented by the game developers. So, in this case you can try disable them one by one and test your game to find out which is really causing the issue. It can also happen that the developers will release a patch to fix them, but if they don’t then it is better to turn them off for smooth and enjoyable gaming experience. Some of these in-game advanced graphics settings include Tessellation, Ambient Occlusion, Dynamic Reflections, Motion Blur, Advanced Lighting or Volumetric Lighting, HDR, Bloom, Water Reflections, PureHair, LensFlares etc. In some cases, you may also have to lower your shadow quality, texture quality and depth of field to fix this stuttering issue. If you have V-Sync enabled, and are getting FPS lower than your monitor’s refresh rate then you will encounter drastic drop in frame rates and stuttering will bound to occur too. Here, you can either turn off the V-Sync completely, or if you have a Nvidia graphics card then you can enable Adaptive V-Sync in the Nvidia’s control panel that automatically turns off the V-Sync if the game FPS falls below the monitor’s refresh rate. You can also get a FreeSync monitor to eliminate screen tearing and stuttering completely, which most of time occurs because of variable frame rates in a game. Make sure that your motherboard and graphics card VRM is not overheating, because if they are then your CPU and GPU can become unstable during gaming or high load, and this may lead to frequent stuttering in games. If VRM is overheating, then you can install high conductivity thermal pads between heatsink and MOSFETs of graphics card or motherboard. For motherboard, you can also install a smaller 40mm or 50mm fan that will blow air directly to VRM to cool them off. Sometime corrupt windows system files may prevent your game to run smoothly and this may cause stuttering issue in games. So, you can either repair the corrupt Windows OS files by using SFC /Scannow command at command prompt, or can even clean install Windows in extreme cases. A slow hard drive, especially a 5400 RPM one can be one of the main causes of stuttering in games. Well, this may not happen for most of the games, as the buffer is generally stored in the RAM and VRAM, but it can happen especially when loading new scenes or heavy textures in the game. 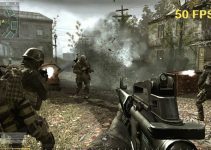 This may also occur during intense fight scenes, where there are lots of enemies on the screen and large number of ongoing activities are there. I have personally faced this issue, and the best way to fix this is to get an SSD, which can really speed up the process of loading games and other things into the frame buffer. Note: If you have SSD installed then it is better to Disable Prefetch & SuperFetch in Windows for SSD if it not already disabled by the Windows OS. An under-powered PSU can also be one of the factors for stuttering, because if your CPU and GPU is not getting enough power, or stable and clean power at high loads then they do not function to their full capacity, and in worst cases your PSU can even blow up, which has happened to me once before. Setting your windows power settings to performance mode can also help to reduce or eliminate game stutter. 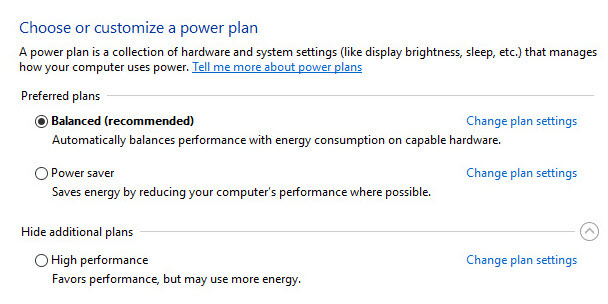 To change the windows power setting, go to Control panel->Power Options, and set the power plan to High performance. You may also customized the power plan if you wish too. Disabling HPET on some system can reduce game stutter. So, you can try this too, if your computer support HPET or if it is enabled on your PC. Low frame rates or highly fluctuating frame rates is one of the major causes of game stuttering, when you do not have FreeSync / G-Sync monitor and graphics card. This generally happens when FPS drops below monitor’s refresh rate all of sudden from much higher number. So, if you already don’t have a FreeSync monitor and supported graphics card then my advice is to get a FreeSync enabled graphics card and monitor. This will eliminate game stuttering along with screen tearing and make your gaming experience much enjoyable. If you are still facing the stuttering issue with your game, then you can list your problem here in the comment section below, so that we can help you with it. Also, if you think that some major stuttering cause is still missing from this list then you can tell us about it by leaving a comment below.